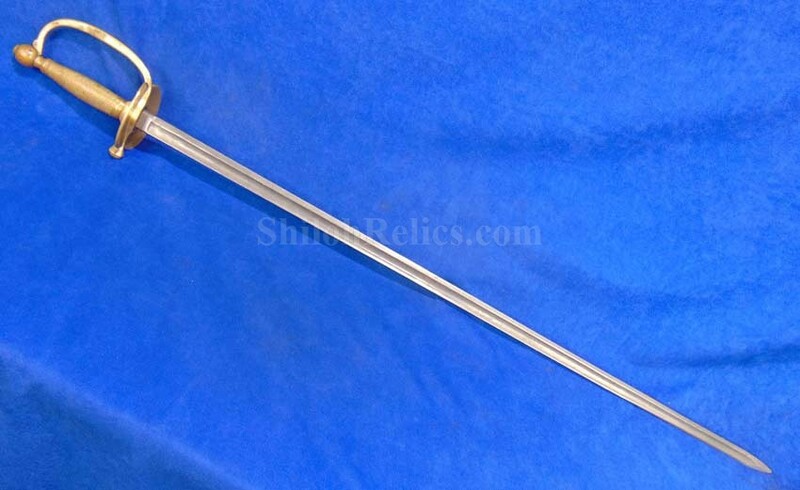 This is an authentic original Civil War non-commissioned officer’s sword. This is the classic style that was worn during the Civil War by the N.C.O.s. 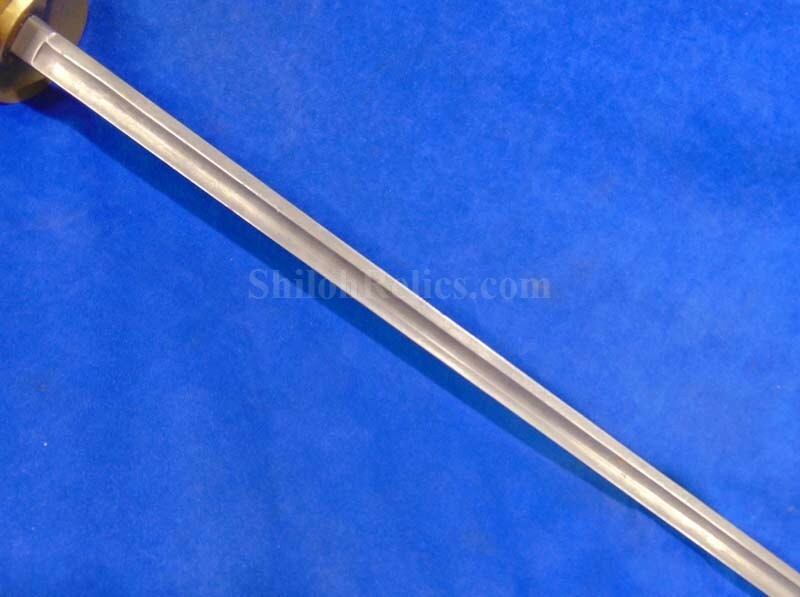 The blade is full-length with a darker tone over the blade. 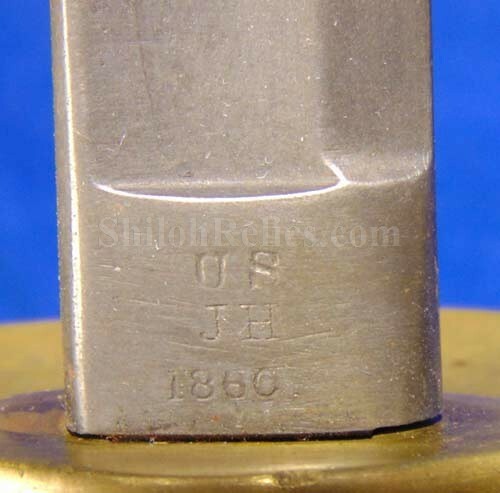 It has the correct "J.H.” inspector’s initials at the base of the blade along with the " US” mark and a stamped production date of 1860. The initials are that of Joseph Hannis who inspected swords for the US Government from 1838 until 1862. These 1860 dated swords are a good bit tougher to find than the usual later war dated swords you encounter. 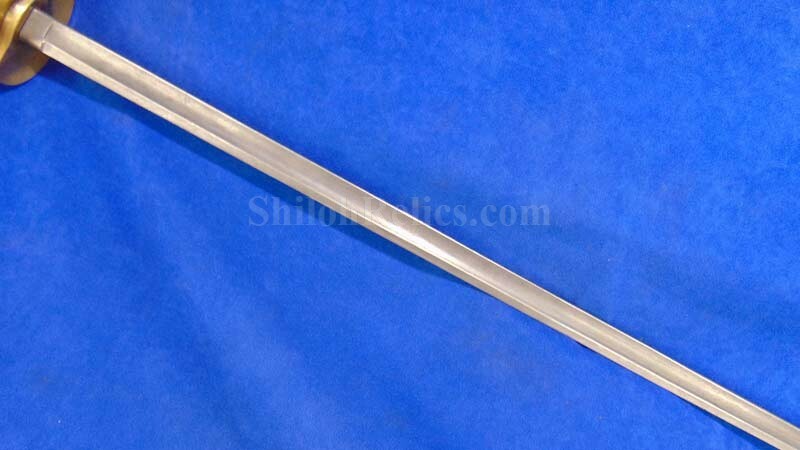 In John Tillmann's book on Civil War Army swords, he states that there were only 1000 of these swords delivered in 1860. 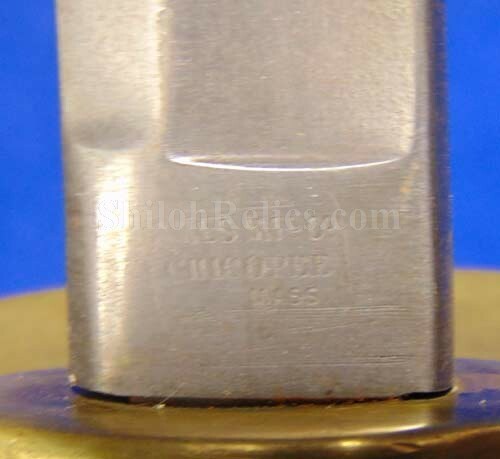 The back of the blade it has the remnants of the scroll style maker mark of the Ames firm of Chicopee, Massachusetts. 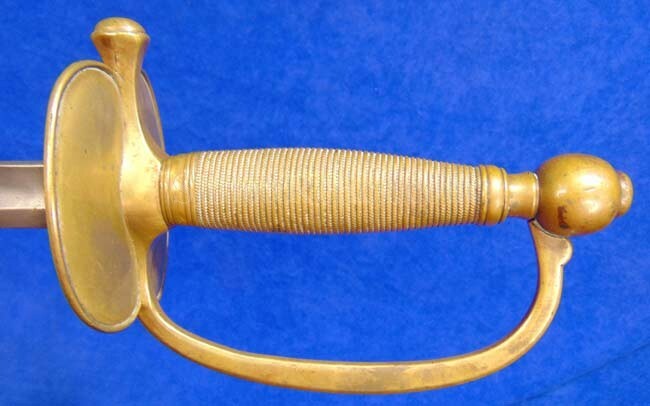 Ames was the foremost maker of edged weapons of the Civil War era. 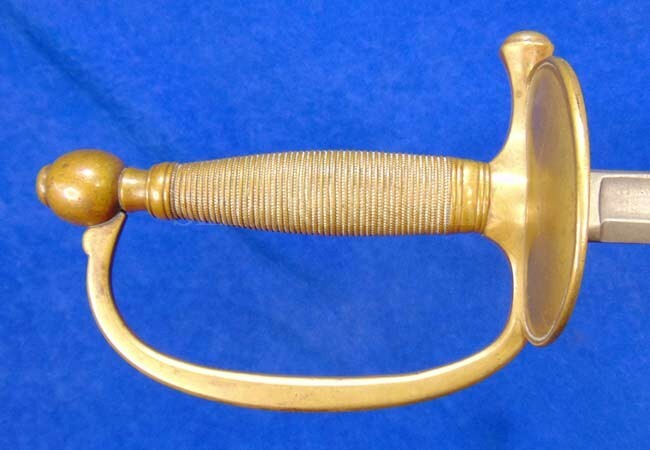 The original brass guard, pommel and handle are intact with an attractive untouched look to the brass. Is a good looking original Civil War dated N.C.O. 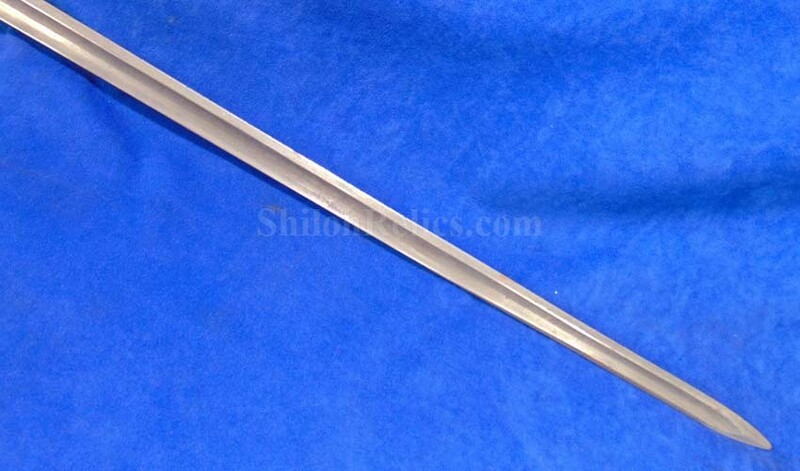 sword with the desirable 1860 production date.